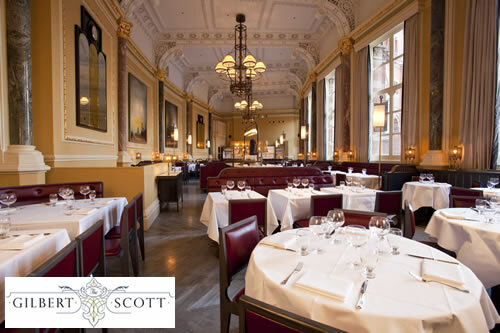 WIN a wonderful night out at The Gilbert Scott for you and a friend - start the evening with a cocktail in the bar followed by a 3 course dinner with matching wines. Take home a signed copy of The Gilbert Scott Book of British Food as a memoir of the night! To celebrate the return of Sylvie Guillem and Russell Maliphant in PUSH from 29 July at the London Coliseum, Sadler’s Wells is pleased to be able to bring you a special competition from The Gilbert Scott – British Brasserie and Bar in the beautiful setting of the St Pancras Renaissance Hotel. An elegant Brasserie and Bar The Gilbert Scott is the second restaurant to come within the Marcus Wareing Restaurant Group and is named in honour of the building’s original architect Sir George Gilbert Scott. 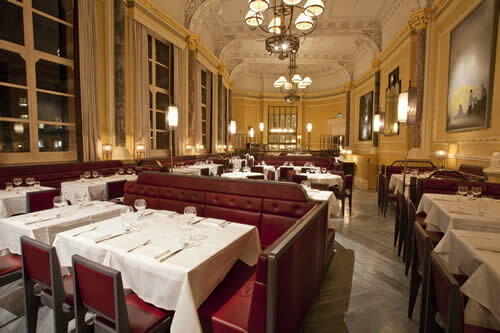 Taking inspiration from tradition, The Gilbert Scott offers a creative, original menu with British produce at the core. The Gilbert Scott bar, a wonder on its own, offers fantastic cocktails, brunch, afternoon tea and bar bites. PUSH is a modern classic, and stars Sylvie Guillem and the work’s choreographer Russell Maliphant. After receiving four major theatrical awards, including the Olivier Award for Best New Dance Production (2006), and touring to sell out seasons around the world, PUSH returns to the London Coliseum from 29 July for 5 performances only. To be in with a chance of winning this prize, simply submit the form below by 12 noon GMT on Sunday 3 August 2014. Fields marked with * are mandatory. Terms and conditions can be found below.